The Nova underground operation. Image: IGO. Independence Group (IGO) is developing plans for an underground automation project at the Nova nickel-copper mine south of Kalgoorlie in Western Australia. Nova, which will reach its first anniversary as a producing mine next month, has emerged as a world-class asset for IGO since its discovery in 2012. With the operation running at its nameplate 1.5 million tonnes per annum mining rate, and production on track for another boost in the June quarter, IGO is progressing next generation projects at Nova to drive additional value from its potential. 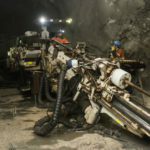 One of these projects is to introduce further autonomous underground mining, according to managing director and chief executive Peter Bradford. 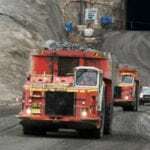 “Nova is relatively unique in that most of the underground capital infrastructure is already in place and the mine design is well suited to accommodate autonomous mining and haulage,” Bradford told Australian Mining. IGO is also studying potential for downstream processing to produce nickel and cobalt sulphate, which would deliver higher payabilities, premium prices and improved concentrator recoveries. The company is undertaking metallurgical testwork to confirm assumptions from a scoping study completed in the March quarter. 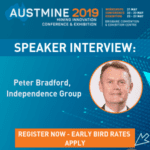 “We are pleased with the results to date from this testwork and expect to progress to a prefeasibility study, which would be completed by the end of the 2018 calendar year,” Bradford said. A successful move into downstream processing of nickel and cobalt sulphates would be timely for IGO ahead of the expected increase in demand for electric vehicles (EVs) and batteries, something Bradford is confident will deliver a strong long-term outlook. Bradford said the impact of this demand had already been witnessed on cobalt pricing and, in time, he also expected it to positively affect the value of nickel and copper. “The market is forecasting a large deficit in the availability of high-quality nickel for use in EVs and other minerals used in metals for batteries and energy storage and distribution technologies,” Bradford said. IGO reinforced its focus on Nova in May when it offloaded the Jaguar Operation in WA to CopperChem for $73.2 million. The company also owns a 30 per cent stake in the Tropicana gold joint venture with AngloGold Ashanti.